A comparative market analysis (CMA) gives you an idea and a guide of how to determine your Lakeland Fl home’s value and shows the current condition of the market during the time you put your Lakeland Fl home for sale. Let’s say the CMA shows that homes in your area are not selling for a period of time and starting to drop off the market, this may be a cue for you to adjust your asking price to avoid being one of them. On the other hand, if homes are selling quickly and inventory is low, you can take advantage of this type of market and your home can probably fetch a higher price than those homes that have already sold. It is a rare thing to get so much value from something that is absolutely free, and that is what a CMA is. It comes at absolutely no cost. All you have to do is request one from your Lakeland Fl listing agent. The best time to get a CMA is as soon as you decide to put up your Lakeland Fl home for sale. You may even want to request for two instead of just one. Ask for the first CMA as soon as you decide to list your Lakeland Fl home on the market and another one once you have made home improvements or repairs. Don’t be disappointed if the value is still the same after you have made improvements on your home. Even the appraisal of your home’s value does not change, your home improvements will definitely help to sell your home faster. A quicker sale is always a better sale since there is such a thing as the “time value of money.” This means that having a sale now instead of six months from now is better since many things can happen in a span of six months. 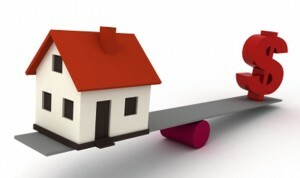 Economic changes could greatly affect the value of your Lakeland home for sale. So make sure to get a CMA as soon as you decide to sell your home. Contact your local Lakeland Fl agent to help you obtain the latest CMA in your area.